The probe appears to be focused on Trump’s business dealings, possible collusion with Russia, and obstruction of justice allegations. The House Judiciary Committee launched a sprawling new probe today into Donald Trump’s inner circle and alleged abuses of power, demanding documents from dozens of individuals including the president’s sons Donald Jr and Eric, and son-in-law Jared Kushner. The powerful panel’s Democratic chairman, Jerry Nadler, sent letters to 81 people and entities in Trump’s current or former orbit or who may have information pertinent to the investigation, amid a push by opposition lawmakers to hold the president and his associates accountable for possible wrongdoing. They include the Trump Organization’s longtime chief financial officer Allen Weisselberg, White House ex-aides Steve Bannon and Hope Hicks, current Trump personal lawyer Jay Sekulow, former attorney general Jeff Sessions, and WikiLeaks founder Julian Assange. The request is the most serious overt ramp-up of investigations into Trump since Democrats took control of the House of Representatives in early January, and seeks to uncover whether Trump or his administration have participated in obstruction of justice, public corruption, or other abuse of power. “This is a critical time for our nation, and we have a responsibility to investigate these matters and hold hearings for the public to have all the facts,” Nadler said in a statement. “Over the last several years, President Trump has evaded accountability for his near-daily attacks on our basic legal, ethical, and constitutional rules and norms,” he added. Trump himself swatted away the probe as a fabrication. “The beautiful thing is, no collusion. It’s all a hoax… a political hoax,” Trump said at a White House event, as he suggested he would cooperate with the probe. “I cooperate all the time with everybody,” he added. Nadler has given the recipients of his requests two weeks to respond. The 71-year-old Democrat now at the helm of a substantial investigation has made clear that his party is serious about probing the heart of Trump world. The investigation appears to be focused on Trump’s business dealings, possible collusion with Russia, and obstruction of justice allegations. It also will address accusations of campaign finance law violations and potential violations of the US Constitution’s ban on foreign emoluments. The letters include requests for information on the June 2016 meeting in Trump Tower attended by Kushner, Trump Jr, now-jailed former campaign manager Paul Manafort, and a Russian lawyer reportedly close to the Kremlin, and documents surrounding the termination of FBI director James Comey. The expansive new probe suggests the potential for laying the groundwork for possible impeachment proceedings against Trump. 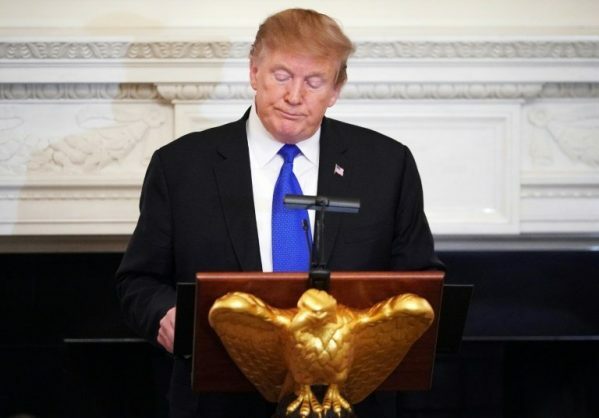 But Democratic congressional leaders including Nadler and House Speaker Nancy Pelosi have been reticent about pushing for the president’s impeachment.